Frankincense, the name echoes throughout the fragrant histories of the world as a champion of aromatics. One of the most popular incense materials of the ages, it has nourished many spiritual and religious traditions from ancient Egypt to Japan. In addition to its holy uses, Frankincense has also been traditionally used as a medicine to treat a wide variety of imbalances and ailments in Traditional Chinese Medicine, Ayurveda, Greek Medicine, Tibetan Medicine, and many other alternative medical practices. 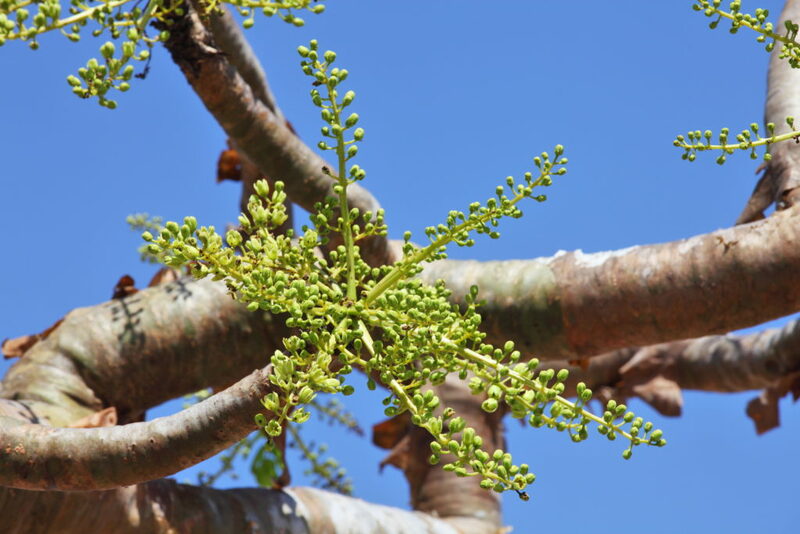 Frankincense is the resinous sap of Boswellia trees. The trees range in height between 6 to 28 feet tall, and are native to the Arabian Peninsula and North Africa. Traditionally, incisions are made on the tree’s trunk or branches which exude the precious gum which is left to harden before it is collected for trade. The droplets that are secreted from the trunk resemble tear drops, which is why they are commonly referred to as Frankincense Tears. For 5,000 years Frankincense has reigned supreme as the most widely used incense in the world. From ancient Roman emperors and humble Catholic monks, to Arabian kings and fine incense and spice merchants of the ancient Orient, Frankincense has influenced the divine connection between Gods and humans for millennia. In addition, many traditional medical practices have utilized Frankincense in the treatment of countless physical ailments and mental imbalances. In one of the oldest writings in history, the Bible, Frankincense is mentioned many times in holy context as sacred incense; a sacrament to the heavens, to God. It was one of the ingredients in the holy Ketoret incense, burned daily by specially trained authorized priests at Solomon’s Temple, and was among the three gifts from the three Wise Men, or Magi, who visited infant Jesus in the famous Biblical tale. It was even said to have been one of the handful of holy plants that Adam took from the Garden of Eden and brought back as a fragrant treasure for all mankind. 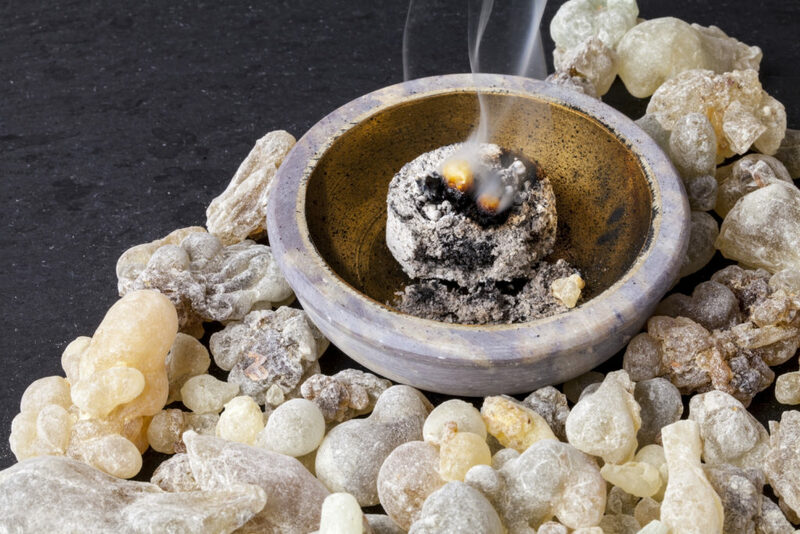 From these early days, and throughout many different beliefs and religions, Frankincense was known to hold a special power to help one connect and commune with the Divine. Many small kingdoms and major trading villages of old were supported by the trade of Frankincense, among other aromatic incense plants and tree resins. Arabian traders were made wealthy beyond belief from these precious botanical substances; Egyptian pharaohs were happy to pay enormously for unbelievable amounts of exotic incenses from afar. Through the sacred smoke of Frankincense, these wealthy rulers, spiritual leaders, and royals of the Old World shared in the aromatic riches of the divine sense of smell. Never-ending plumes of smoke emanated the halls of ancient temples, castles, and courts, bathing royalty in constant fragrant blessings. The ancient Egyptians were quite fond of Frankincense resin and used it as temple incense (an ingredient in the famous Kyphi incense), as medicine, in the use of cosmetics and perfumery, and even for burial ceremonies and embalming. The enormous appetite for heavenly Frankincense smoke among royalty, religious institutions, and wealthy citizens of Europe, Egypt, North Africa, the Middle East, and Asia made this prized resin one of the most heavily exported resins in the world. For thousands of years caravans carrying metric tons of Frankincense traveled the ancient Incense Road reaching tropical paradises, gloomy fortresses, and far-off exotic kingdoms near and far. In Catholicism, Frankincense and Myrrh have been used in rites since its formation and are still present in the church today. Burning Frankincense in the church may also be viewed in the context of a “burnt offering” given to God. Like many other religious and spiritual traditions, the act of smoke rising upward is thought by Catholics and Christians alike to carry prayers to heaven, or to the Creator. Frankincense has been an important substance in Alchemical and European mystical traditions for its symbolism and its practical and spiritual medicine. In Alchemy, it was used to make many different philosophical medicinal preparations aimed at physical, spiritual, mental, and emotional healing, as well as for spiritual evolution. As an herb long associated with the Sun, the intuition, divine connection, inner strength, personal power, and the archetype of the King, countless wise men and women have pondered its many layers of meaning and hidden wisdom. Many of the esoteric and magical uses of Frankincense are based on its affinity to the Sun. In times of old it was used as sacrificial incense to many Sun gods including the Egyptian Sun god Ra, the Greek deity Apollo, and the Babylonian Sun god Bael. This sacred connection resembles spiritual insight, spiritual self-discipline, and the dedication of finding ones true spiritual nature. Frankincense is known to open up channels to a higher power and higher wisdom during meditation and ritual; a sacred key that unlocks the door to the divine. Since Biblical times, the many healing abilities of Frankincense have been utilized to treat a wide variety of illnesses and imbalances all over the world. It has been most widely used for its bacteria, infection, and virus-killing properties. Many cultures would burn Frankincense around the dead or in infirmaries during times of plague to control the spread of disease. Burned as incense or used in an essential oil diffuser, it has been used in the treatment of various respiratory conditions such as bronchitis, asthma, sinusitis, and laryngitis, and is also an effective expectorant with the ability to relieve tightness in the chest. Physicians of Traditional Chinese Medicine, Tibetan Medicine, and Ayurveda have been using Frankincense incense and essential oil to relieve nervous tension, stress, depression, insomnia, anxiety, and other nervous disorders for ages. Many also utilize the melted resin topically or in ointment or salve form for its ability to relieve pain associated with arthritis, muscle tension, joint stiffness, menstruation, and various injuries. Ancient cultures also applied Frankincense topically to heal wounds and to prevent infection and scarring. When safe doses are taken internally using the raw resin preparations (not essential oil), Frankincense can help improve circulation of the blood, relieve certain digestive problems, and soothe inflamed tissues (depending on a person’s unique personal constitution). It has even been studied for its effects in killing cancer cells and preventing free-radical damage. Recent studies have proven that Frankincense can be beneficial in cases of ovarian, colon, breast, and prostate cancers. Unfortunately, these studies have yet to be verified by ‘officials’ and are still in process of publication. Many of the ancient medicinal applications of Frankincense resin are still used today for the same disorders and illnesses. 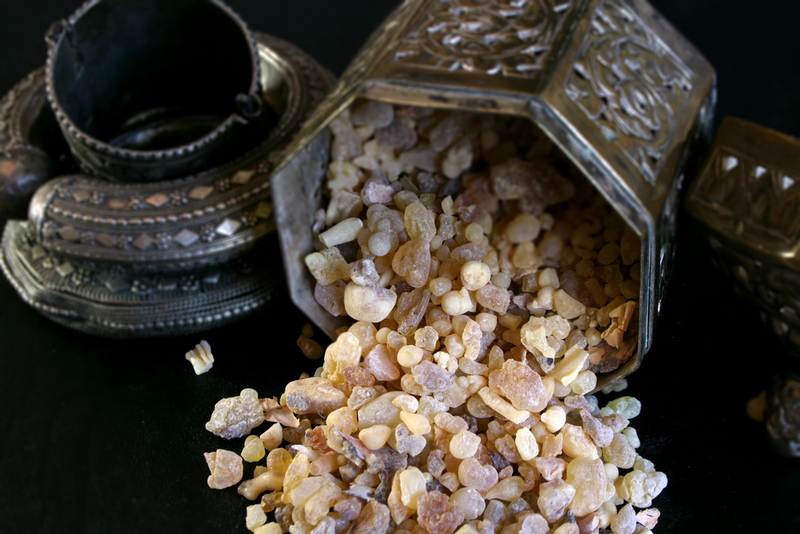 Frankincense is a mainstay in any incense lover or aromatherapist’s collection. Whether you’re in need of positive upliftment, healing, to release nervous tension in the mind and body, to connect more deeply with the self or a higher power, or simply desire to enjoy the rich, fruity aroma of the world’s most ancient incense resin, Frankincense is a warm and comforting companion to meditation, contemplation, and your own unique spiritual evolution. The Frankincense populations of the world are greatly threatened at this time due to their ever-growing popularity, over-harvesting, and natural destructive forces. The rise in popularity of essential oils has had the most devastating effect on the natural populations of these trees. Local harvesters try to meet large-scale corporate demand of essential oil companies by harvesting much more than the trees can handle, jeopardizing the tree’s well-being. Once weakened in this way, their immune systems are compromised, allowing disease and insects to finish them off. Frankincense trees are highly endangered at this time, though the demand and trade of this precious commodity has not slowed. 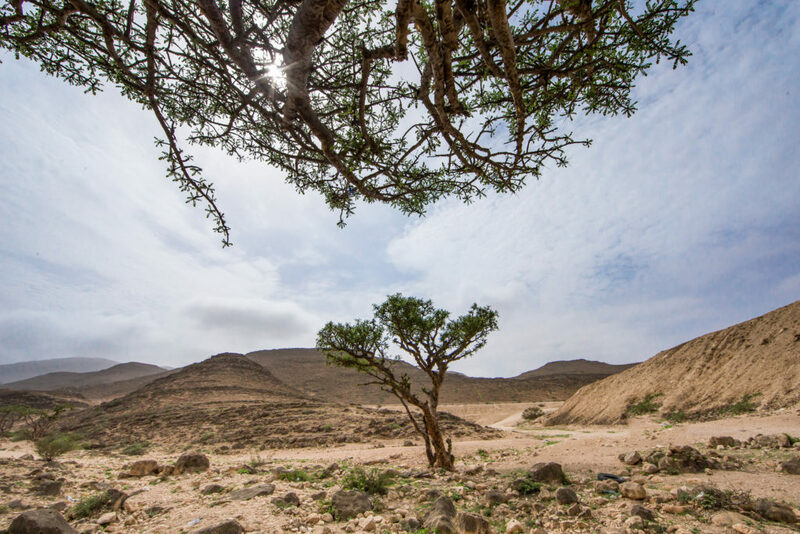 Studies show that if we continue down the road of unconscious stewardship and over-harvesting, Frankincense trees could be extinct in 50 years! Times of crisis always generate good in the world however. In light of this critical reality, local leaders and wild-harvesting co-operatives in North Africa have begun to address this issue, spreading knowledge and best practices for healthy harvesting methods as quickly as possible. Though in its infancy, the exports from these co-operatives and sustainability groups are growing. Soon sustainability certification will be available for suppliers, allowing the consumer to vote with their dollar and do their part to preserve the timeless treasure and traditions of Frankincense. Be sure to ask your Frankincense resin/oil supplier to look into these co-operatives, and demand ethical and sustainable sourcing of their Frankincense from them. Want to learn more about incense traditions and aromatic plant medicine? Join the Listening to Incense Program today! © 2016 Evan Sylliaasen, The Northwest School of Aromatic Medicine. All Rights Reserved. Plus weekly wisdom and free training videos on healing the mind, body, and soul with aromatic plants. We respect you and would never spam or sell your info.